The 31st of May the first release of the agINFRA Science Gateway was announced. This release is developed by the National Institute of Nuclear Physics (INFN) of the University of Catania. The gateway meshes-up Grid Computing and Cloud Computing enabled applications and lets users access them in an easy, transparent and ubiquitous way. Its first application is called the Italian Soil Information System (ISIS) and hosted at INFN Catania.To know more on ISIS click on "Applications -> Full List". To use it click on "Applications -> WebGIS -> ISIS". ISIS comes with two options: a reduced set of services freely accessible and the full fledged application requiring authentication and authorisation. 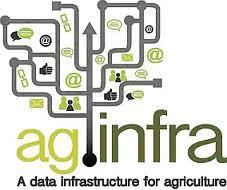 If you do not have an account yet on the agINFRA Science Gateway, please register and sign-in. A Science Gateway is a "community-development set of tools, applications, and data that is integrated via a portal or a suite of applications, usually in a graphical user interface, that is further customized to meet the needs of a specific community". This Science Gateway has been built mainly for the Virtual Research Community of the agINFRA project, but it is of course open to everybody interested in agricultural sciences.